The Fuquay Varina Emergency Food Pantry will be distributing to our clients turkey and fixings to prepare their own Thanksgiving Day Meal on Monday November 20, 2017. Our clients are welcome to sign up for a turkey when they come in to pick up their regular box of groceries. Last day for clients to sign up for a turkey is November 9th during the Pantry’s regular hours. You may sponsor a family by requesting a Thanksgiving Blessing Card that will be shared with our clients. 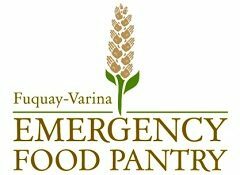 The Fuquay Varina Emergency Food Pantry is requesting $20 to cover the cost of the turkey or $25 to cover cost of entire meal. Any and all donations are welcomed to help cover the cost of providing a Thanksgiving Meal to be shared with each of the families that visits the Pantry. We will be providing over 500 families with the items needed to enjoy a meal with their families. Please contact The a Fuquay Varina Emergency Food Pantry to receive a Sponsor Card for this Thanksgiving.